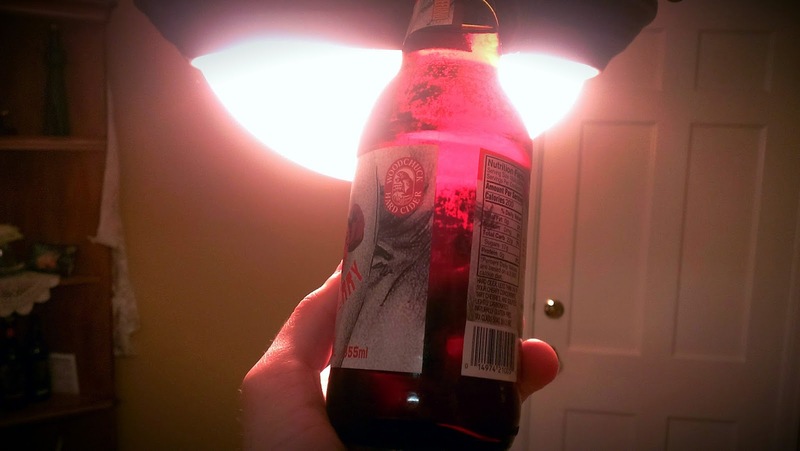 In my very first post, in which I laid out my hopes for this blog, I said I enjoyed hard cider. I'm at a point in my life where I'm purchasing beer and cider in equal quantities; one week I'll buy a pack of beer and the next I'll pick up some cider. This is my fourth real post, so I figure it's time I actually talk about this stuff. Tonight I'm drinking Woodchuck (but you knew that already because you read the title, right?). I love Woodchuck for their "special" ciders such as their seasonals, special reserves, cellar series, and more lately (since it's been introduced) their Out on a Limb series. Truth be told, if I'm drinking a traditional non-special hard cider, I'd sooner reach for an Angry Orchard or Johnny Appleseed, but when it comes to taking chances on something crazy and unique, Woodchuck does it in style. Woodchuck's been brewing cider since 1991. I swear I read on their Facebook page once that they kickstarted the US cider revolution, which is impressive (and something that I'd believe. I was only one at the time, but it seems like I didn't start seeing hard cider places until the mid-2000s)*. Still, Woodchuck wasn't on my radar until I saw it in my RA's mini fridge during my sophomore year at Ohio University. The brand's name stuck in my head and when I turned 21, roughly a year later, Woodchuck was one of the alcoholic beverages I bought when I drove to Kroger on my first beer run. What I'm drinking right now, Cheeky Cherry, is part of the company's Out on a Limb series. Out on a Limb came about in October 2014 as a way for the brewer to get some of its more experimental (some may say "risky") brews into consumer hands. Every few months the kind of cider offered in the series switches. As far as consumers know, once the style is gone it won't return. I never tried Chocolate Raspberry, the series' first offering, but it's second, Spitter Splinter, was delicious. It was sour but had distinct notes of bourbon (probably because it was aged in bourbon barrels). The series' third and most recent offering, Cheeky Cherry, hit store shelves at the beginning of February (when many Woodchuck fans were still bemoaning the loss of the Chocolate Raspberry). Once I learned it was out I made my way to my neighborhood Kroger (because it sells Out on a Limb on the cheap: $7.50 for a sixer) to nab it. Upon tasting it, I'm not disappointed. 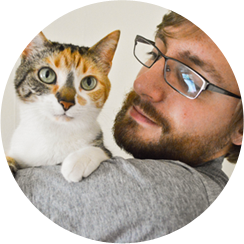 Purrl is disappointed, though. She only gave it 4 sniffs. I guess she doesn't like sour stuff. Her nose is right: it's sour. But not too much. 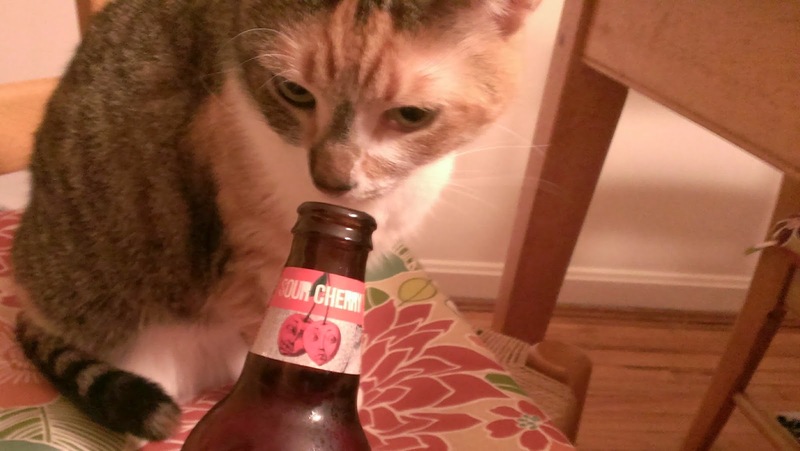 The story on the bottle implies that Cheeky Cherry is meant to pucker one's cheeks into perfect selfie taking form. 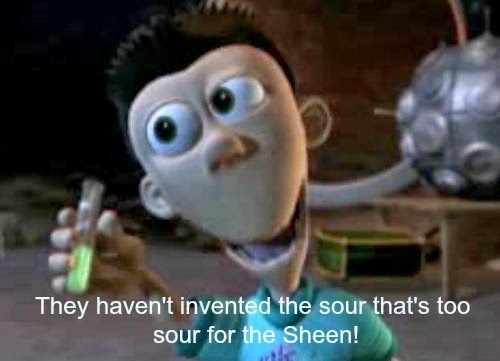 It's not doing that for me, but I have a pretty high tolerance for sour things. It smells pretty sour, though, which is why Purrl was put off. It also smells apple-y. I'm not detecting any hints of cherry in the aroma. Where I am detecting cherry is in the cider's body. Normally I don't write about body because I'm a strong believer in consuming brews the way they are presented--straight from the bottle (or, at times, can). This cider's an exception to that rule simply because of how pronounced the body is. Even through the amber bottle I can see that the cider's red. That's awesome. Flavor-wise, it's a lot more green apple than cherry up front. The cherry really only makes its presence known in the aftertaste (I should note that it's also there if you hold a swig in your mouth for a little bit, but the aftertaste is really where the flavor of hits hardest). Cheeky Cherry is incredibly bubbly, which seems to belie its 5.5% ABV. It almost has a soda-level carbonation. Almost. The sourness coats one's cheeks and sticks around long after a swig's been swallowed. I lived across the street from a Speedway the summer between completing my bachelors degree and returning to school for my masters. The gas station was running a "Summer of Fountain Fun" (or something) promotion where any sized fountain drink could be had for a buck. I would routinely get an extra-large Speedy Freeze that was half Coke and half cherry-flavored. It was always a deep red color and the cherry was alway there as an aftertaste to the Coke. Those Speedy Freezes and that summer are what this decidedly winter-only release brings to mind. It was a good summer full of hanging out at bars with friends and living off of part-time minimum wage. Purrl's nuts. 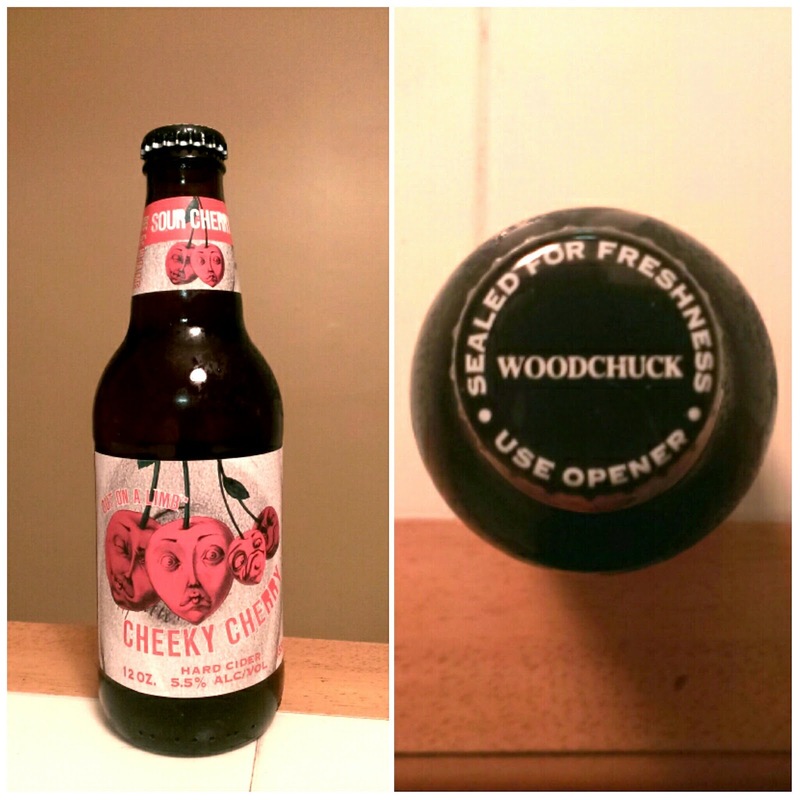 Woodchuck Hard Cider's Cheeky Cherry is really good. A treat, if you will (and if you like sour things). Should you find it, I'd suggest you pick it up. It nets an 9.0/10 from me and if your interested in it you need to act fast--it'll only be available for a few months! *Absolutely none of the facts contained within this sentence were checked and I could just be making all of it up (but I don't think so).